With less resources and more people, its urgent to find more sustainable ways of living. The research focus is on how architecture could be part of creating inclusive and sustainable housing and spaces where sharing would be heart of everyday life. Create possibilities to share knowledge, things and space. Sara Hyltén-Cavallius is an architect, senior lecturer at Linnaeus University, PhD student and a mother. She obtained her Master of Architecture at Lund’s University 1990 and moved to Småland. Worked as a practicing architect in Växjö for 15 years before going into academia and design education at Linnaeus University. First as a course coordinator, program coordinator and then head of department. Sara is currently a PhD candidate at the Department of Architecture and the Built Environment at Lund’s University. 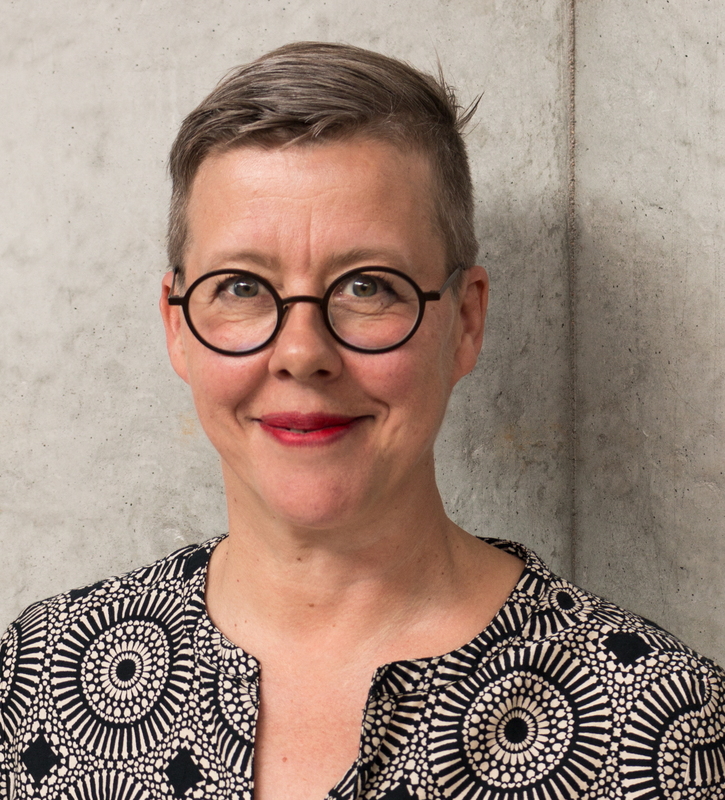 I am an architect, urbanist, planner, associate professor and program director in architecture at the Iceland Academy of the Arts in Reykjavik where I teach architecture, and social design. I graduated in architecture from Istituto Universitario di Architettura di Venezia IUAV in 2000 spending one year as exchange student at KTH in Stockholm. My following years have been a mix of studies and working. I received a second MA from Architectural Association in Housing and Urbanism in 2002, and a MSc in Regional and Urban Planning Studies from London School of Economics in 2011. I am currently a PhD candidate at the University of Iceland enrolled in the department of Cultural Studies. Becoming Citizens: Architectural Education in the North is the title of my PhD research which investigates how the Nordic schools of architecture are addressing grand challenges. The main research questions are: What are the values that each school teach? And How architecture education translate values into tangible experience? Erika Henriksson is a swedish architect and researcher. Her work emanate from her close interaction with people, places and built environment. She is educated at KTH School of architecture (Stockholm, Sweden), Rural Studios (Alabama, US) and Umeå School of architecture (Umeå, Sweden). She works with architectural projects, spatial installation, video and photography. She is occupied with architecture as a cultural and metaphysical manifestation, and work in processes of building as a way to see and understand the world. Erika is currently a PhD-candidate in practice-based research at NTNU, Trondheim, Norway. As a PhD candidate at the interdisciplinary programme Art, Technology and Design – a joint initiative of the Royal Institute of Technology (KTH) and Konstfack University of Arts, Crafts and Design in Stockholm – I work in the messy intersections of codesign, posthuman theory, biotechnology and critical animal studies, under the project heading Living Things: Design beyond Human Exceptionalism. My research interests center on designerly interventions in the intimate entanglements of human and nonhuman lives mediated through digital, biological, and other technologies. How can we design with, and for, nonhuman subjects? How can designers prototype, make tangible, posthuman everyday life? What could a non-anthropocentric design practice be like? I have an MA in Interaction Design from Malmö University. Before returning to academia I co-founded and ran interaction design and innovation studio Unsworn Industries for almost ten years. We crafted beautiful action spaces, from children’s libraries to mountain megaphones and gluten E.T. barbecues. My name is Andreea Blaga and I was educated as an architect at the “Ion Mincu” University of Architecture and Urban Planning, Bucharest. During my fourth year I had an Erasmus exchange at the Swedish School of Planning, Blekinge Tekniska Högskola, Karlskrona, where I had followed a master programme with majoring in sustainable urban planning. Currently I am part of a bigger research project called ‘urbanHist’ which is a multidisciplinary research and training program whose aim is to develop a joint understanding of the history of urban planning in the 20th century from a European perspective. My research project “Planning for Growth and Social Welfare” is aiming to address the Swedish welfare model and to place it beyond the national frontiers, in a broader European context, while considering the interstate knowledge diffusion and transfer that occurred during the postwar period between architects and planners.